Established in 1982, TRC Electronics, Inc. is a privately owned company with a stocking headquarters located minutes north of Philadelphia in Doylestown, Pennsylvania. The company is a leading franchised distributor that specializes exclusively in power supply products. Our mission is to provide power supply solutions that meet the technical, budgetary and time frame demands of your applications. By leveraging our focus on power supply products and exceptional customer service, we deliver knowledgeable sales, customer service, warehousing, logistics & engineering support to guide you through your power supply applications. Committed to the highest standards of excellence, the various teams within our organization deliver incredible value to our customers. Through knowledgeable sales assistance, exceptional customer service, accurate warehousing, resourceful logistics and skilled engineering support, we will guide you through your power supply application. Our sales team is trained in all technical aspects of power supply solutions. We are prepared to work with your engineering group to address all facets of a project including: electrical/mechanical specifications, safety regulations and application considerations. Buyers and planners will appreciate a friendly level of personalized service, flexible & customized ordering options as well as forecast and lead time management. It is worth noting that our team works with a concentrated group of approximately twelve power supply manufacturers. Our in depth understanding of this select group of manufacturing partners is singular. We leverage our strong manufacturing partnerships to negotiate the most competitive volume discounts for our customers. We provide the fastest response time and the most exceptional service to make your job more efficient. As a result, our team has been recognized with numerous awards, including being honored as MEAN WELL's #1 rated distributor in the USA. Our factory trained engineering team is entirely focused on power supply products and power supply applications. This dedication provides our customers with the greatest depth of power product knowledge. Our engineering support is available to assist with applications, product functionality as well as safety regulations. 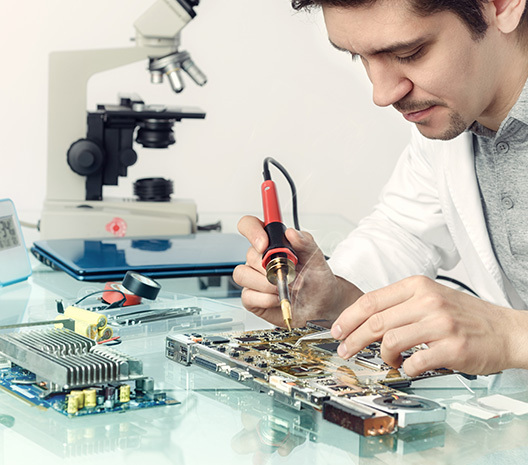 Whether your application is Medical, LED or Industrial, our engineering team has the relevant experience and is available to support all phases of design and production. Our purchasing team manages the inventory of one of the largest power supply warehouses in the USA. Because we work closely with our distinguished group of manufacturing partners, we have established extremely effective purchasing strategies. For instance, our strategic high volume purchases permit our sales team to offer the greatest volume discounts to our customers. Even further, our daily monitoring of all back orders and shipments in transit from the factories allow us to provide the most accurate lead times. In the event of a factory delay, we learn about it early and provide immediate notification to our customers. Seasoned product managers with greater than 20 years of power supply experience ensure that we stock the right power supply solutions that are in demand. The newest and most innovative power supply solutions are readily found in stock at TRC first. Our power supply marketing professionals allow us to deliver a power focused website experience as well suitable marketing materials that are used by many thousands of engineers. It should be noted that www.trcelectronics.com is the most widely used power supply dedicated website in the USA. Our engineering friendly website contains one of the largest, yet concise catalog of power supply solutions. Find important product specifications and order sample quantities on-line. An accessible and resourceful accounting team is ready to assist customers with accounting inquiries. You'll discover competitive payment terms as well as accurate & organized billing. TRC's warehouse is located in Doylestown, PA. Orders that are in stock and placed before 3:30 p.m. EST ship the same day. 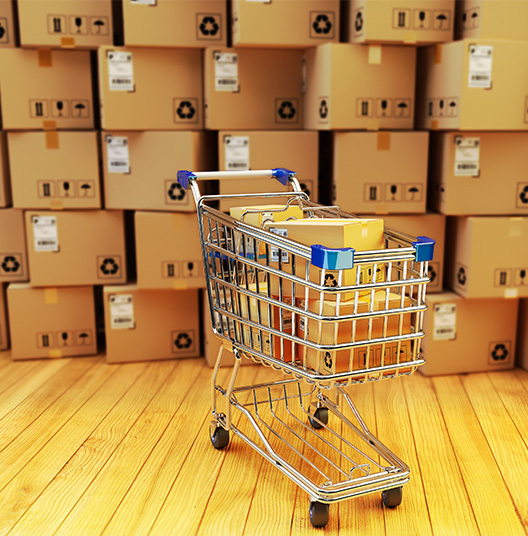 TRC does not outsource any of its warehousing functions. Only TRC trained warehouse team members handle our inventory. It is worth noting that TRC's warehouse has a documented shipping accuracy rate of almost 100% (99.94%). So you may rest assured that your order will be processed and shipped with precision. Our value added capabilities increase the level of service to our customers. We test and troubleshoot our customers' applications right here in our Pennsylvania facility. Our technical team provides engineering recommendations to advance our customers' design efforts. TRC Electronics is the only MEAN WELL USA Authorized Repair Service Center. Our engineering and technical team is factory trained and certified. As a result, we have the greatest depth of MEAN WELL expertise found anywhere in North America. We leverage this expertise to provide a superior level of technical service to our customers. In the event of a power supply failure, we turn around an RMA repair quickly to minimize wait time for our customers. If the failure is an application issue, our team begins working with the customer immediately to troubleshoot the application. Quick Turnaround: We ship custom configured modular power supplies in 1 business day for Efore, Excelsys and MEAN WELL. TRC is the UL/TUV authorized configuration center for MEAN WELL Modular Power Supplies. We are also the factory authorized modular configuration center for both Efore and Excelsys. We custom label the packaging of our products to eliminate our customers' time and labor investment. Ask about our custom box labeling solutions. Since 1982, TRC has built the reputation of being an honest, reliable and truthful business partner. Today, TRC stands as the most credible supplier of power supply solutions to the electronics manufacturing industry. Our loyalty to this industry is unmatched. Our team conducts itself with courtesy, honesty and respect. We are a company shaped by trustworthy, conscientious, and ethical people. TRC is committed to being a reliable partner to both our customers and our vendors. As a unified team, we work towards achieving common goals such as providing the best customer experience possible. Each team member is encouraged to innovate and implement new ideas to maximize our efficiency to better serve our customers. We listen, learn, collaborate, help, and support one another so that we may all learn and grow. The support and camaraderie found in our team yields a family type atmosphere. Team members are provided a strong framework to work within a team. Yet, we recognize individual accomplishments and value the qualities that distinguish one team member from another. TRC values independent and self reliant team members. At TRC, we believe in order to lead properly, one must lead by example. The leaders at TRC are the individuals that work the hardest, take the most initiative to be proactive and have the courage to explore outside their comfort zones. Our leaders open the doors for new opportunities to grow both professionally and personally and ensure that TRC is a leader in the power supply industry. We are determined to work vigorously for our customers. Our hard work is rooted in our passion and enthusiasm for helping our customers succeed. TRC works the hardest to go above and beyond to maintain and build stronger partnerships with existing customers while striving to create new partnerships. We pledge to do whatever is required to get the job done right! Our team takes extraordinary measures to ensure that our customers' needs are met. 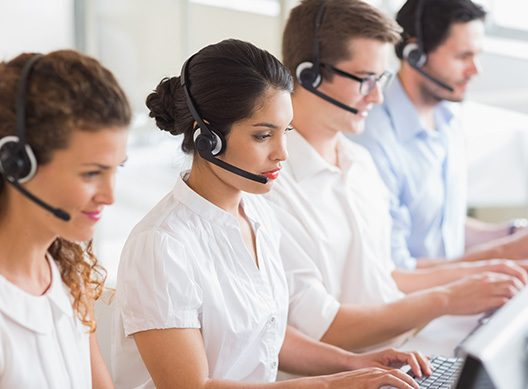 Our strong emphasis on efficiency, product knowledge, team work, leadership and listening to our customers' needs allow us to provide the very BEST customer service in our industry. We offer the right solutions for our customers' unique requirements. We learn about our customers and personalize our service to their exclusive demands. Our present and future customers are our top priority. We go the extra mile to ensure that our customers' experience with TRC exceeds their expectations. 1982 On April 16th, 1982, TRC Electronics is established in Lodi, New Jersey with the goal of providing OEMs: Troubleshooting, Repair and Calibration services for power supplies. TRC Electronics becomes a leader in the power supply industry by evolving into one of the first electronic distributors to specialize exclusively in power supply solutions. With an absolute focus on power solutions, TRC provides expert power supply product knowledge to thousands of customers over the years. TRC Electronics launches one of the very first websites dedicated to power supplies. 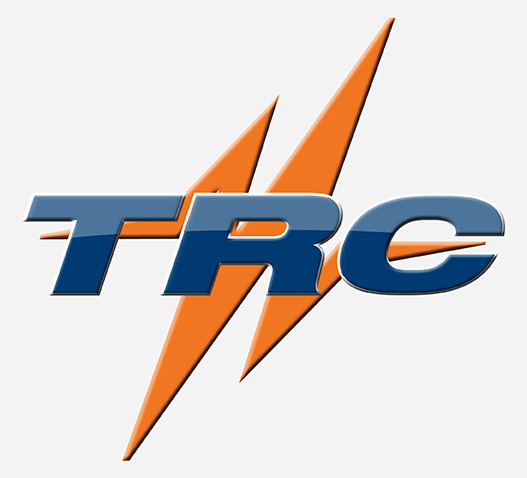 TRC's website becomes the leading destination for engineers and buyers to source their power supply needs. TRC Electronics receives factory training and authorization to become the USA ROAL Modular Power Supply Configuration center. Our team configures and ships ROAL modular power supplies in 1 business day. In June of 2011, TRC Electronics opens its west coast sales office in Campbell, CA. Our California office positions TRC to better serve the west coast market. December, 2011, TRC relocates its stocking headquarters to Montgomeryville, Pennsylvania. The new 17,000 square foot facility greatly increases our ability to meet our customers' stocking demands. TRC celebrates its 30th year in business. We are proud to be partners with the more than 20,000 companies that TRC Electronics has served. TRC's value added technical team receives factory training to perform Mean Well RMA repairs. TRC becomes the only factory authorized Mean Well Repair Center in the USA. This increased depth of product knowledge provides our engineers and technicians with the highest level of technical expertise found anywhere in the USA. In addition, our RMA repair service is the fastest in the industry. TRC receives UL/TUV certification for Mean Well Modular Power Supply final assembly. TRC is the factory trained Mean Well Modular Power Supply Configuration Center in the USA. Our team continues to expand value-added capabilities. TRC Electronics expands its west coast presence with the opening of two additional regional sales and technical offices. In September 2016, TRC opened a Brea, California office. In December 2016, TRC opened a Sunnyvale, California office. Due to substanstial growth, on March 5th, 2018, TRC Electronics relocates to a new expanded headquarters located in Doylestown, Pennsylvania.